Ryan: Well, I have a six-year-old and a nine-year-old and both of them have asked Santa this year for an Echo Dot in their room. 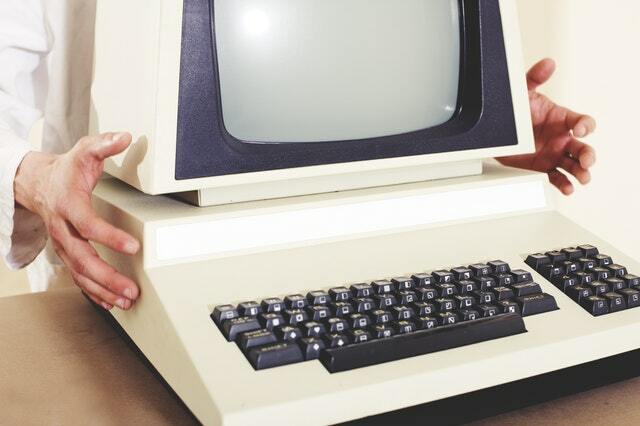 And at first, we were like, “Well, yeah, that makes sense.” Like especially right now, they’re 20 bucks on Amazon, so you’re like, “Oh, yeah, I’ll throw one in there.” But you gotta remember, putting one of these in a kid’s room means you’re giving them unfettered access to the internet. Just like if you handed them a tablet with no parental controls on it. They’re gonna see all kinds of crazy stuff or hear crazy stuff. So Amazon saw that as a problem. So they came out with a kids’ version and this one’s a little more expensive. This one’s 50 bucks today. It’s normally 70 bucks. You get a cool little case that comes with it, but the best part is you get parental controls with it and you also get something called FreeTime and it’s unlimited, so you get it for a year. Now if you’re a Prime member, it’s three bucks a month, so it’s not like you’re saving a ton, but three bucks a month. I mean, why not? And if you’re not a Prime member, obviously, I think it’s a $109 or $200 a year, something like that. It’s insane. But if you get it for your kids, not only do they get access to the parental controls, but you get thousands of audiobooks, they can set up little timers on their thing and they can have different characters, their favorite characters wake them up in the morning. Is it like a Disney character, it can be like, “Hey, wake up,” blah, blah, blah, whatever. But they also get, not only the audiobooks, but they also get appropriate songs and music and things like that. Unlimited access to Prime Music, but appropriate songs, right? Like, you don’t want to have your kids listening to Snoop Dogg at 3 in the morning. That’s just not something you want to have happen. You can also have it read you stories and things like that, but let’s go into the parental controls. So, when we looked at some of the reviews, people were giving this bad reviews and the reason was they didn’t understand how to do the parental controls. You don’t do it in the Alexa App. You actually have to go to parents.amazon.com in order to access these parental controls. And I’m really hoping that they change that. So what I’ve got here is Jackson and Isabella, these are my two kids. Right now, they don’t have anything because they haven’t gotten it for Christmas yet, but when they do, we’ll be able to look in here, right? So here’s some of the cool things you can do. You can add different content, set daily time limits. If they’re making noise in their room, you can just pause the device and turn it off. They can’t actually use it. But you can also turn on in-app purchasing and you can adjust their age filter. So we will go in a little deeper here. So one of the things in the reviews, people were going, “Well, my kid’s not three, so I want them to listen to things other than Elmo songs.” So you could actually slide this and put whatever age group you want them to be in. So if you’ve got sort of a mature 10-year-old, you can let them get all the way through the 11th. That makes sense? Also on the dashboard here, you can set up when it can turn on, when it can turn off. So at 8:00 PM at night, we don’t want them to talk to Alexa anymore, but they can turn it back on in the morning and start talking. You can limit how much screen time they’re able to get if you have an Alexa Show. Because the nice thing about this parental control is it works on all the devices for that kid. So if he has a tablet, like a Fire tablet, it’ll work the same way. Also here you can set up the different kinds of things they are allowed to do. So again, if they have a Show, they can watch Netflix or they can get OverDrive so they can download books and read books and get audiobooks and things like that. You can also turn on explicit filter for Spotify. So if they do get Snoop Dogg, they only get the clean version, which is kind of nice. And then, of course, you can see everything that the kid has done on the Alexa. This is our family’s Alexa. We use it a lot mostly to turn on our master bedroom lights apparently. Cody: That’s what I’m noticing. Yeah. Cody: I’m a little… This hurts me. “What’s the weather like today?” I’m right here. Cody: True, there you go. Ryan: …the whole time, because that’s all I do. Woman: Sure, so, see? Sure. Ryan: But if you’re interested in getting one of these, today is the day for 50 bucks and you also get a two-year warranty, so if your kid drops it or breaks it or whatever, they replace it for free. It’s pretty cool. It’s a good deal. Check it out. Cody: I need to step up my Alexa game because right now I just use it as a timer [inaudible 00:04:03]. Ryan: We should come over to your house and set up a bunch of smart home stuff and then put an Alexa in there and just let you go nuts. We should do that. Ryan: Yeah. Let’s talk to the producer. Somebody should do that. Cody: Thank you very much, sir. All right. Back to you, guys. Smart home assistants are one of the fastest growing corners of the tech consumer market. In quarter 1 of 2018 alone, over nine million smart speakers were sold in the US. Compare that tidal wave of sales to the comparatively meager 3 million units sold in 2017, and it’s pretty clear these handy, voice-activated devices are rapidly being accepted as a central technology to family life. But you know what? Scrap all the sales talk and stats. The big question isn’t whether Alexa is popular. Of course, it’s popular—it tells awesome knock-knock jokes and knows Star Trek trivia. The question is, are your kids ready for the kinds of content it can offer? Just watch what happens when this confused kid asks Alexa to “play baby shrrrrk!” Not ideal! Which brings us to the thorny little problem. 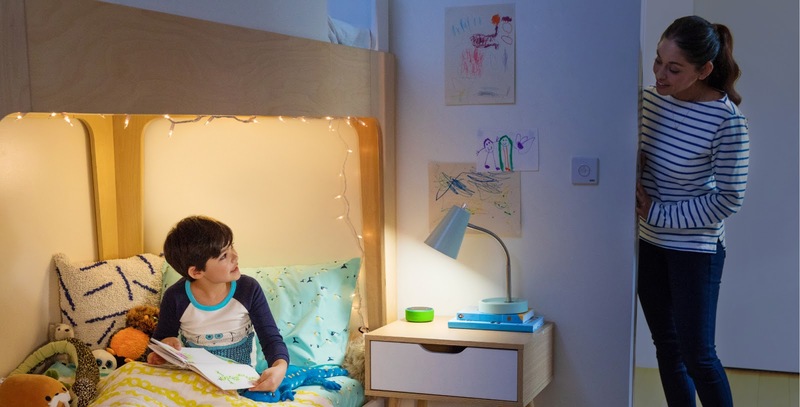 Alexa has access to everything and if your kid has access to Alexa, so do they. Pretty much the whole glorious mashup of weird and wonderful content the Internet has to offer can be accessed through the compact perfection of a cylindrical smart speaker. Comedy? You got it. An account of the rise and fall of the Roman Empire? Strap in! Morbidly interested in the sound a sloth makes when it’s eating an overripe mango? You could probably find that too (but maybe don’t—pretty sure that’d be disgusting). The point is, the Internet is a wild place. While some of your kids Alexa antics are going to be pretty hilarious (like if they freak out listening to fart noises), not all that content is going to be kid-appropriate, especially when it can be accessed away from the living room and free from parental supervision. Which leaves poor parents in a tough position. On the one hand, the technology is an entertainment and education gold mine. On the other, it’s something of a Pandora’s Box. Open it and who knows what unpleasantness it might unleash? The Echo Dot For Kids (available for $70 on Amazon) is designed to give parents a perfect way to manage the content conundrum. Here’s what makes it so great. Instead of simply offering a free pass to the entire Internet, the Echo Dot For Kids provides a carefully curated library of safe, age-appropriate content. It also comes with some well-designed tools to help parents stay on top of what their kids are listening to. Let’s drill a bit deeper into some of this device’s awesome features. Not sure if you noticed this, but kids are pretty clever at figuring out how to lay down some serious technological mischief. This is all cool when it’s something like adding keely-bop-sneels to your shopping list, but it’s not so great when it comes to accessing adult content. This is where parental controls make a huge difference. One of the main criticisms a lot of consumers have of parental controls, in general, is that they can be a bit of a blunt instrument. It forces parents into choosing one of a few content control levels, and these may be either too restrictive or too loose depending on an individual child’s maturity levels. Amazon solves that problem in a way that’s really pretty darn ingenious. It sets parents up with a slider bar. Dragging it from left to right correlates to age groups, and even within years, you can do some careful fine-tuning to set the content filters where you feel they should be. You also have access to a simple yet powerful switchboard layout, so that you can see precisely what you’re filtering in and out of your kid’s allowed content and tweak it however you feel necessary. It’s really quite elegant, and it gives you a lot of control over the device’s behavior—from curfew times to purchasing restrictions, to setting usage time-limits. Let’s step away from parental controls though to look at why the Echo Dot For Kids is such an entertainment and education-rich option for kids. We mentioned that Amazon has taken the step of curating a kid-friendly content area. This product is called Free Time and if you’re already on Prime you can access it for just $2.99 per month. Including over 20,000 apps, games, videos, audiobooks and educational content (and still growing), this product is a vast library of kid-friendly awesomeness. It’s like an endless playground for their ears! Like this, only really a lot better. Better yet, it’s broken down by age levels and the content level is controlled from your parental control dashboard. It’s the perfect way to prepare your kids for a content-rich world, without exposing them to things they’re not quite ready for. All The Cool Geeky Stuff With None Of The Bad! Even though the Echo Dot for Kids is pared down on the content, it retains all the cool features to make your home smart and convenient. Call your kids in from the bedroom using Echos as an intercom! 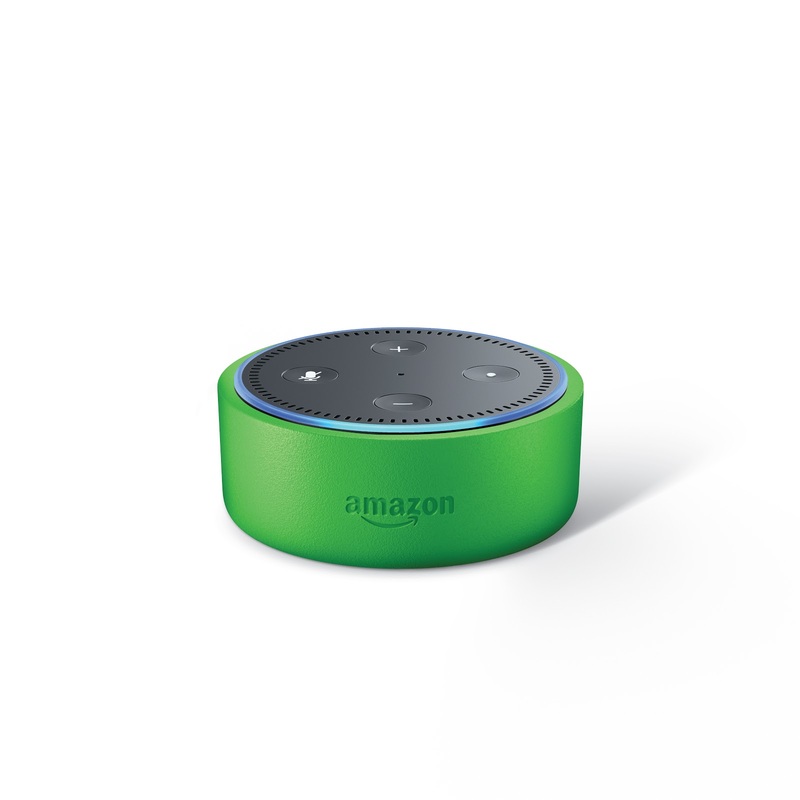 Connect (if you wish) the Echo Dot For Kids up to the smart home controls so that they can turn lights and devices on or off by voice. It even comes with a generous two-year warranty, affording a primo level of protection against any unexpected kid mishaps. With the Amazon Echo Dot for Kids, the question of whether your kid is ready for a smart speaker enriched world suddenly becomes a lot easier to answer! With Amazon’s innovative approach to parental content control and its clear commitment to delivering genuinely awesome age-appropriate content, stuffing one of these into your kid’s Christmas stocking may well be a very smart move.